Requests for Admissions as a Discovery Tool - В сложной финансовой ситуации приходит на помощь кредит наличными в Казахстане. Requests for Admissions are one of my favorite discovery tools in litigation. 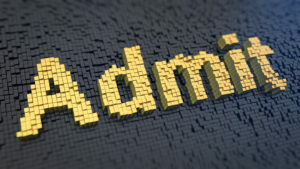 Requests for Admissions are designed to narrow the disputed facts by requiring the recipient of the request to admit or deny the requested fact. These should be served with the objective of having the recipient admit the requested fact. If the recipient does admit the fact, then the fact is a stipulated fact – it does not need to be proved at trial because it is stipulated to. (c) Expenses on Failure to Admit. If a party fails to admit the genuineness of any document or the truth of any matter as requested under rule 1.370 and if the party requesting the admissions thereafter proves the genuineness of the document or the truth of the matter, the requesting party may file a motion for an order requiring the other party to pay the requesting party the reasonable expenses incurred in making that proof, which may include attorneys’ fees. The court shall issue such an order at the time a party requesting the admissions proves the genuineness of the document or the truth of the matter, upon motion by the requesting party, unless it finds that (1) the request was held objectionable pursuant to rule 1.370(a), (2) the admission sought was of no substantial importance, or (3) there was other good reason for the failure to admit. In a recent case, R.J. Reynolds Tobacco Co. v. Ward, 43 Fla.L.Weekly D252b (Fla. 1st DCA 2018), the court awarded the requester $981,116.23 in attorney’s fees and costs under this rule by proving the truth of the matter of the recipient’s denials to requests for admissions. The appellate court, however, reversed maintaining that if the recipient has a good reason to deny the request, such fees and costs cannot be awarded. For instance, if the recipient denies a hotly contested fact in the case and is later proved wrong, fees and costs cannot be awarded under this rule because the recipient had a good reason to deny the request. There really is not a bright line standard as to what constitutes a good reason to deny and what does not, potentially watering down the sanction for a party’s denial of a fact. Nevertheless, this rule is not designed to shift fees and costs to the recipient simply because the party does not stipulate to a contested fact.